The Arts Center of Cannon County presents the Tennessee Mafia Jug Band Saturday, January 16 at 7:30 p.m.
From the pastoral hills, hollers, shopping malls and interstate highways of Goodlettsville Tennessee, home of Bill Monroe, Bashful Brother Oswald, Stringbean, Grandpa Jones, Keith Whitley and some living country music performers, comes the most entertaining "blast from the past" since Lester Moran and the Cadillac Cowboys. They're the Tennessee Mafia Jug Band - five guys and a scrub board, with roots like wisdom teeth. The Tennessee Mafia Jug Band has shamelessly stolen a feature of the old Roy Acuff Show - a bit known as "Pap & the Jug Band." There's only so many graveyard numbers or raunchy love songs that even the most rabid country audience can sit through without some kind of relief. This frolicking fivesome brightens up the stage with rib-tickling old time tunes. The Tennessee Mafia Jug Band not only knows the music, they wear the costumes, tell corny jokes and even do slapstick gags that throw a cable-tv-numbed audience into hysterics. The Tennessee Mafia Jug Band includes Leroy Troy - "The Tennessee Slicker," Mike Webb, Dan Kelly, Ernie Sykes, and Mike Armistead This group will give you a lot of "hot picking," "powerful harmony singing" and "riotous hijinks," all guaranteed to perk you up. The Arts Center is located at 1424 John Bragg in Woodbury. 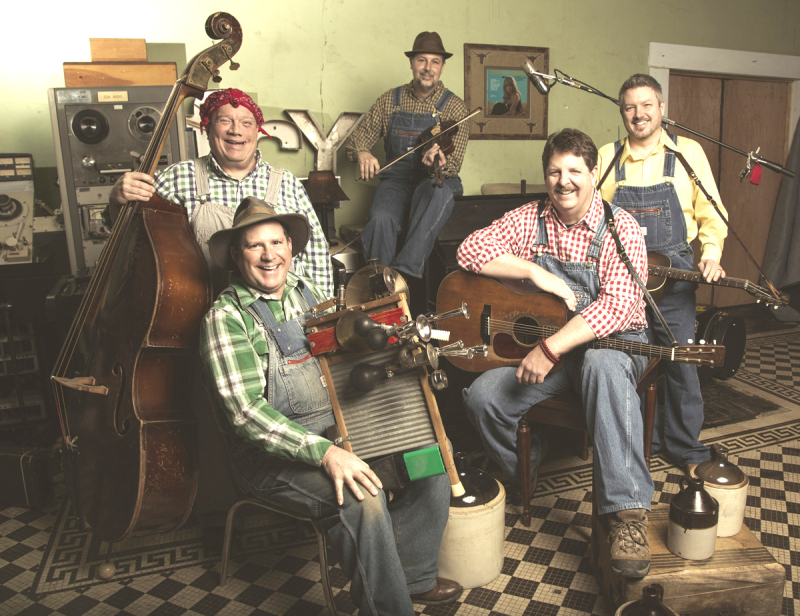 The Tennessee Mafia Jug Band has appeared the record most times at the fabulous Arts Center of Cannon County. How entertaining are they? They're so funny, they've caused tears to run down both legs.